Detroit is burning...but it's just the beginning. 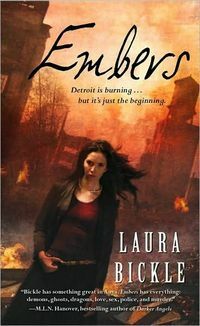 Anya Kalinczyk spends her days as an arson investigator with the Detroit Fire Department, and her nights pursuing malicious spirits with a team of eccentric ghost hunters. 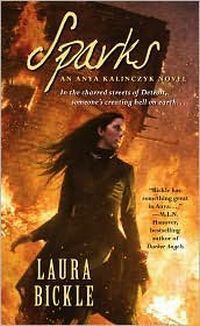 Anya--who is the rarest type of psychic medium, a Lantern--suspects a supernatural arsonist is setting blazes to summon a fiery ancient entity that will leave the city in cinders. By Devil's Night, the spell will be complete, unless Anya--with the help of her salamander familiar and the paranormal investigating team--can stop it. FABULOUS! I have been reading Supernatural books for over 40 yrs and have never run across a spiritualist like this "Lantern". This definately is a book that can sweep the reader up!